Groundbreaking new direction will see the creation of community hubs in BC to support children with diverse abilities throughout their lifetime. Summer camps, skills and employment development for youth and adults, mixed housing, social enterprises and more are at the center of the innovative new 10-year plan being launched this year by Easter Seals BC/Yukon – a plan designed to support children at every age, and stage, of life. With an expanded focus aimed at serving ALL people with diverse abilities, Easter Seals BC/Yukon plans, where possible, to evolve their real estate and camp facilities into dynamic year-round community hubs, offering new programs and sevices, including the well-loved summer camps for kids and youth. Through a new capital campaign, partnerships, and the support of stakeholders, Easter Seals BC/Yukon will chart a new course with the vision to reimagine its facilities to meet the needs of people with diverse abilities throughout their lifetime, thereby enabling abilities for life. It is the Society’s intention to redevelop its facilities into community hubs that are financially supported through a mixed revenue model reducing a reliance on donations only. Expanding and reimagining programs and sevices through the creation of community hubs with new partners, allows the Society to attract new income, funding, and capital that is desperately needed to ensure the organization’s long-term sustainability while also improving operational and financial effectiveness. This groundbreaking plan allows the Society to expand the impact of donor dollars on vital support services and programs while also increasing the type and amount of support provided to individuals with diverse abilities. Children and families will continue to receive the same services and programs they have come to expect from the Society, while exciting new programs and services are introduced over 10 years as funding is secured. 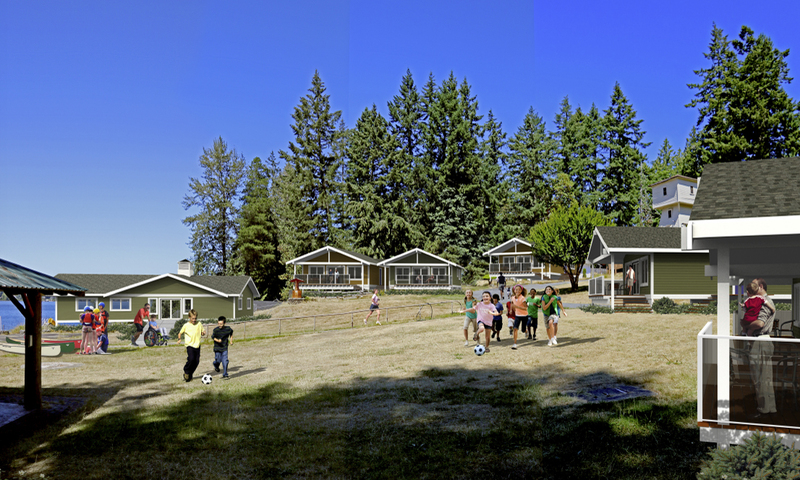 PHASE 1 VANCOUVER ISLAND, Build a new Shawnigan Lake Camp(us) for year-round use – The goal is to redevelop the site over over several years and turn it into a year-round community hub while retaining the site for the cherished summer camps for kids. BC INTERIOR, Upgrade Winfield Camp(us) for year-round use – The goal is to upgrade the site over several years and turn it into a year-round community hub while retaining the site for the cherished summer camp for kids. METRO VANCOUVER, Build a new Urban Campus – Looking to the future, the Society is considering the consolidation of its programming into one site in the Lower Mainland. With the largest population of persons with diverse abilities in BC, the Lower Mainland is an ideal location for a new community hub to provide a summer activity camp, learning and skill development programs, short and/or long-term housing (Easter Seals House) and social enterprise opportunities. Over the next 10 years, supported by a capital campaign, it is the Society’s goal to reimagine and redevelop its Lower Mainland facilities. SEA TO SKY, Camp Squamish – Due to zoning restrictions within the Agricultural Land Reserve and flood plain issues, the vision for a Squamish community hub is uncertain. The Society’s Board is currently reviewing and considering all options. NEW for 2019, a Summer Urban Activity program for youth and young adults with diverse abilities, based in the Lower Mainland. Easter Seals’ summer camp will operate at Winfield in July and at Shawnigan Lake in August. Registration and information will be posted on the website by March 2019.